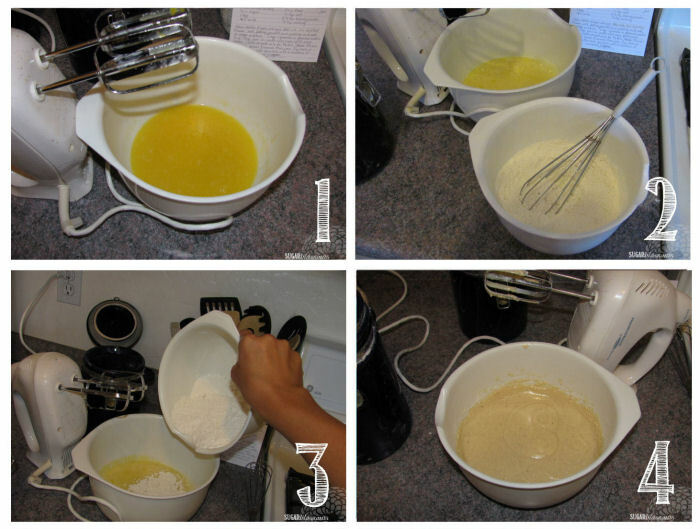 Start by mixing the first 5 ingredients together in a large bowl. In a separate bowl, mix the flour, salt, powder, and spice. 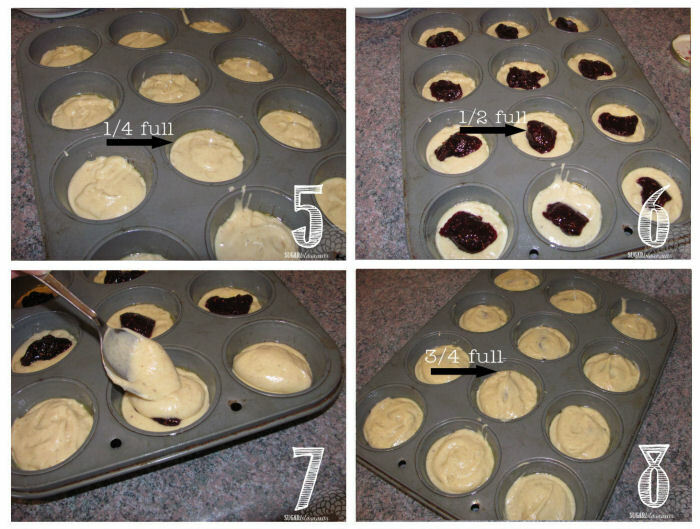 Drop a spoonful of batter in a well-greased muffin tin. It should only fill 1/4 of the tin. 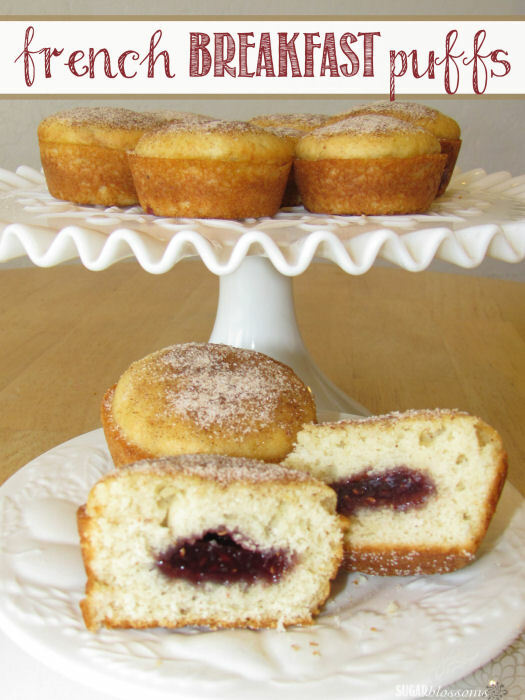 Next, add a dollop of jam in the middle of each cup. That should raise the filled height to about half. and carefully spread it to cover the whole surface. The completed muffin cup should be 3/4 full. Bake for 25 minutes at 350*. 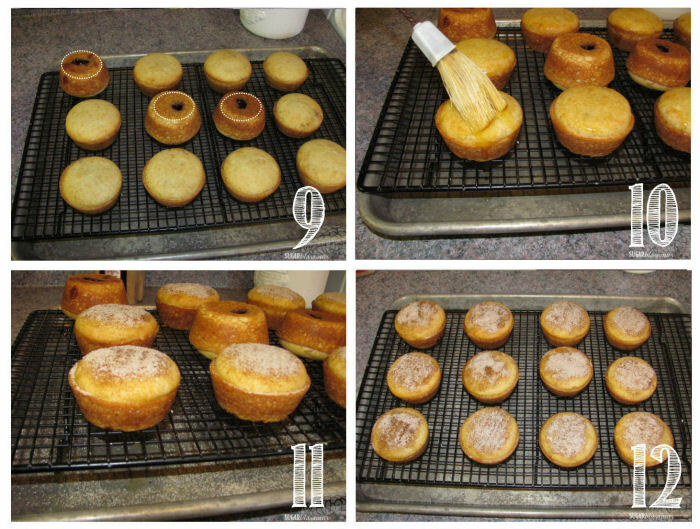 Carefully loosen and remove muffins from pan. simply turn them over until the jam cools. (I use a ratio of 2 tbs sugar to 1 tsp cinnamon). They're best when served warm. 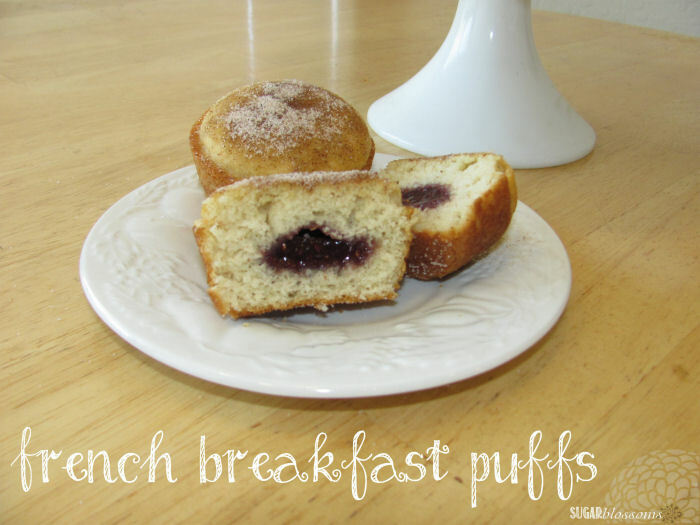 This recipe makes exactly 12 puffs. 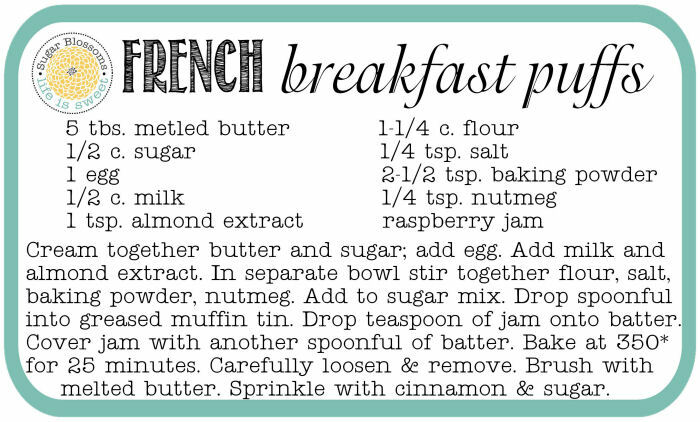 What's your go-to brunch recipe? Originally guest-published on Scattered Thoughts of a Crafty Mom. Holy yum! These look good enough for dessert too! Adding them to my list of recipes to make! Thank you! If you have any desserts you love, we'd love for you to come over to our newest link party over at The Inspiration Network: DELISH- a desserts only link party. Bring your desserts and let's party! !